Most installers will be aware of ErP (the EU Energy Related Products Directive) – one of the biggest changes to the heating and plumbing industry in years. Whilst many have a basic understanding of ErP and what it means, it can be difficult to see exactly what is required of an installer when providing a customer with a new heating system. In this post we breakdown ErP so you know exactly what to expect when the legislation kicks in this September and how Nu-Heat is helping to make this straightforward for installers. In basic terms, the purpose of ErP is to improve the efficiency of heating products and systems installed in properties throughout the UK. 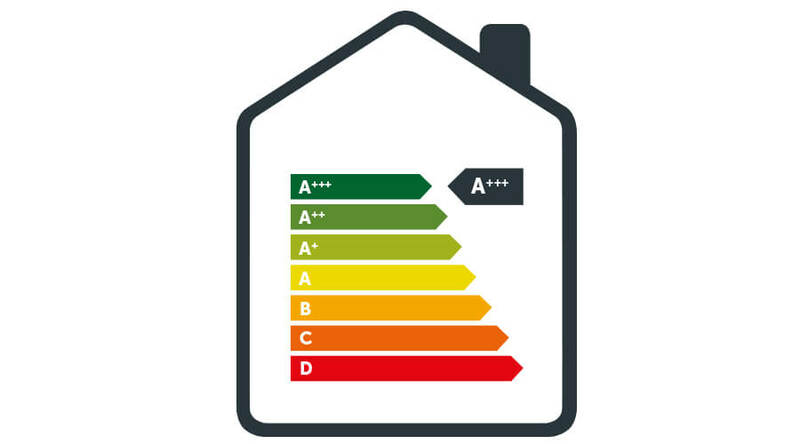 It will give homeowners a clear label to look out for when choosing a new heating system, allowing them to compare a product or complete system’s energy efficiency like-for-like, promoting a ‘greener’ way of thinking. There are two separate parts to ErP and installers, manufacturers and suppliers must comply with these from 26th September this year. Ecodesign ensures that the products available on the market, such as heat pumps or boilers, meet strict efficiency requirements. Inefficient products will not qualify for a CE mark, meaning they cannot be legally sold in the UK, effectively eliminating poor performance models. All heat pumps, solar thermal systems, cylinders and thermostats supplied by Nu-Heat meet the Ecodesign criteria. Energy labelling will affect space and water heaters. The labels look similar to those you already see on white goods such as fridges or washing machines and will provide a clear rating to show product efficiency. Products are split into categories from A+++ to G. Only renewable technologies such as heat pumps will reach the top classes such as A+ or A++, whilst an extremely efficient boiler could expect to be in class A. A heat pump on its own will have a product energy label, such as A+. This heat pump could then be installed with room thermostats and underfloor heating, creating a ‘package’ that requires a combined energy label of its own. Provide a system label if installing a package such as a boiler, UFH and stats. Some suppliers will do this for you (generally if you buy all of the products from them), or you might have to calculate this yourself. This is very simple to do, and Nu-Heat will be providing online support to help you with this process. All of the information needed for the above will come from your supplier or product manufacturers, so on the whole it’s quite simple. As you’d expect, Nu-Heat will be ErP ready in time for 26th September, providing you with product fiches and labels as well as creating system package labels for all of our heat pumps, whether purchased with our underfloor heating or paired with another heat emitter. We are also producing some additional online support for any installer working with our underfloor heating systems.